Christianity/ Blogs / Dr. James Emery White / When Should You Leave a Church? When Should You Leave a Church? Let’s talk about something that isn’t often talked about. It’s not like leaving other organizations. Sure, there are times it’s a non-issue, like when you have to move. But the rest of the time? A church is a family, so leaving is like a divorce. And, like a marriage, you shouldn’t divorce on a whim. So let’s start off with why you shouldn’t leave a church. You shouldn’t leave angry over unresolved conflict. This is the number one reason why people leave, and it’s the number one worst reason for leaving. The goal of Christian community is to work things out. So work it out. Only leave if you can’t pursue biblical conflict resolution to its intended end, which is reconciliation. You shouldn’t leave for the next “it” thing. In too many cities, there is a migratory pattern among churched believers going to whatever is the “next, next” thing. The hot youth group, the hot speaker, the hot singles ministry, the hot… you get it. This is based on a consumerist mindset as well as insecurity. Neither is a good reason to leave. You shouldn’t leave because you’ve put your kids in charge. This one is tricky, but let me delve in. Let’s say little Johnny suddenly decides he wants to go to a friend’s church. There’s absolutely nothing wrong with the church you are attending, it’s just that Johnny has a new friend, or set of friends, and wants to go where they go. This plays on every parental insecurity about wanting Johnny happy and churched, so you go to the new church. This is a bad precedent. Not only does it trivialize what involvement and membership in a church community is meant to embody, but it puts Johnny in the driver’s seat of the family’s spiritual commitments instead of the parents. Johnny’s friends will come and go, and when they do, you will have left the church you loved. Better to ride things out with Johnny than make a knee-jerk decision to uproot and move. You shouldn’t leave because you feel your needs aren’t being met, you aren’t being ministered to or you aren’t “getting anything” out of the service. Let’s call this what it is: spiritual narcissism. The value of narcissism is the classic “I – me – mine” mentality that places personal pleasure and fulfillment at the forefront of concerns. Historian Christopher Lasch went so far as to christen ours “the culture of narcissism,” calling it our new religion. Yet a spiritual narcissism has invaded our thinking, where the individual needs and desires of the believer become the center of attention. “I want to go where I’m fed” or “I need to be ministered to” rolls off our tongues without even blushing. The Bible teaches we should be learning to feed ourselves and seek not to be served, but to serve others. When we walk out of a worship service and say, “I didn’t get anything out of it” – as if worship were about what we receive rather than what we give to God – that’s idolatry, making ourselves the focus of worship instead of God. 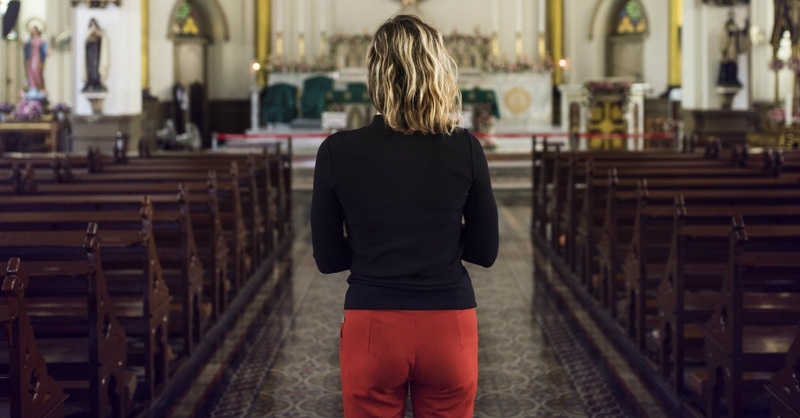 Spiritual narcissism is no reason to leave a church. It’s a reason to repent. So when should you leave? You should leave because there is genuine theological disagreement. If a church or its leadership or its teaching body departs from historic Christian orthodoxy, you should leave. Just make sure you are defining historic Christian orthodoxy in the right way and not making tertiary matters primary. You should leave because the leadership has lost integrity and is not being held accountable. There are churches where the leaders have drifted from financial integrity, sexual integrity or integrity related to the proper manifestation of humility and servanthood, and there is no mechanism for accountability or no willingness to engage it. In other words, a blind eye is being turned toward what are, in fact, biblically disqualified leaders. You are not called to follow or support leadership that has forfeited their right to lead even though they remain in leadership. You should leave because the vision, values and mission have drifted from its biblical moorings, and there is no sense that they will return to shore. If a church has a mission that “lost people matter to God and therefore they should matter to us,” but over time has drifted from evangelistic fervor with no indication that it will ever fan those embers back into a flame, go where it’s burning. But the bottom line? For most of us, the choice should be to stay. Just as the easy-divorce mentality of our day is an affront to God’s vision for marriage, the easy-departure mentality from church involvement is an affront to God’s vision for the church as the new community. … there are many more times when we should stay. James Emery White is the founding and senior pastor of Mecklenburg Community Church in Charlotte, NC, and the ranked adjunctive professor of theology and culture at Gordon-Conwell Theological Seminary, where he also served as their fourth president. His latest book, Meet Generation Z: Understanding and Reaching the New Post-Christian World, is available on Amazon. To enjoy a free subscription to the Church & Culture blog, visit ChurchAndCulture.org, where you can view past blogs in our archive and read the latest church and culture news from around the world. Follow Dr. White on twitter @JamesEmeryWhite.